Named by tourists as one of the best beaches in Europe, Woolacombe Beach holidays is an ideal beach family holiday in the UK. Beautiful flat sandy beach perfect for building sandcastles, it also meets requirements of active adults with the surfing. 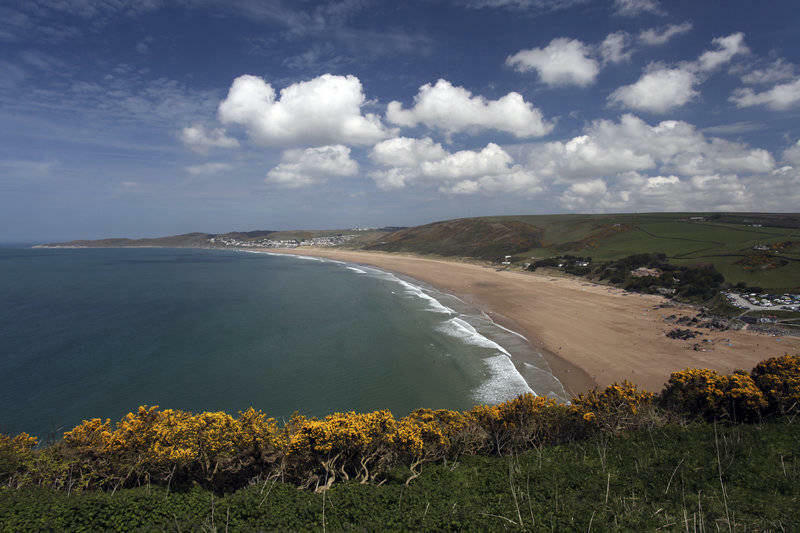 Woolacombe can be accessed from London via the M4/M5. Exit 27 from M5 on to the A361 and then A399 to marine drive. Great Western Trains run services from London, Plymouth and other cities to Woolacombe. Self catering apartment & costs between £350-600 for a week for a family of 4. Self catering £1900 a week in peak season for a family of 4. Self catering £1200 a week in peak season for a family of 4. Woolacombe beach holidays has something for everyone. Taking in a sea safari to see the wild life along the coast of Devon is a must do. Also, if you never have, why not enroll with a surfing school and learn to surf?